Good listening skills, and being able to discriminate between different types of sounds, are the foundation of speech. Your child, therefore, needs to learn to listen well. These listening games should help. Please consider the safety aspects of playing any of the games described below. You will know your child’s strengths and abilities and, therefore, you should choose games that are safe for them to play. For example, Blind Man’s Bluff (variation) requires the child to wear a blindfold – you will know whether this is appropriate for your child. Play a selection of the listening games described below at least twice each day, for about 10-15 minutes each time. Choose somewhere quiet and remember to turn off the TV, radio, music system, etc. Make sure your child is ready to play and is not too tired, hungry or ill.
Stay in charge of the game: be firm but not overbearing. Reward your child straightaway for any successes (e.g. “Good girl/boy!”; smile; hug your child) and praise all their attempts. Don’t give up too soon – it might take a while for your child to get the idea of the game. Traditionally, as a party game, a present is gift-wrapped in several layers of wrapping paper. The children then sit in a circle and the parcel is given to one of the children. An adult then starts some music, and the children must pass the parcel around the circle to the child on their left. They continue to do this if the music is playing. At some appropriate point, the adult stops the music and the child who is holding the parcel at that point removes a layer of wrapping paper. The music is re-started, and the game continues until the final layer of paper is removed revealing the present for the child holding the parcel at that time. You will need to adapt the game to suit how many children are available to play. In sum, the idea is that your child learns to listen carefully to the music and to respond when it stops. This is another traditional party game. The children dance to music and then, at an appropriate point, an adult stops the music. The children must sit down on the floor as quickly as possible. The last child to sit down is ‘out’, i.e. they are out of the game and stop playing. The remaining children stand up, the music is re-started, and they start dancing again. 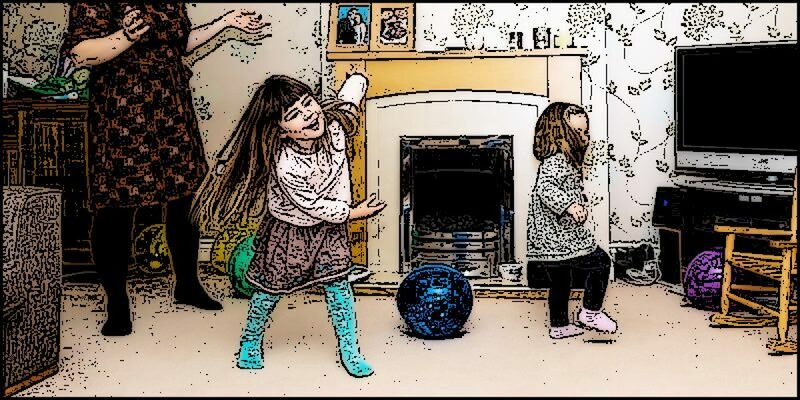 The children continue to play like this until there is only one child left dancing – they are the winner. As with Pass the Parcel above, you will need to adapt this game to suit the number of children available to play. Once more, the idea is to have your child listen carefully to the music and respond appropriately when it stops and starts. This is another favorite party game. It is a good lead-in game for any other listening and/or attention games you might wish to do with your child, as it quietens them down and can promote better concentration for the work ahead. It is played in similar fashion to Musical Bumps above but, this time, instead of sitting down when the music stops, the children must ‘freeze’ like a statue. Any child seen to be moving while the music is stopped is ‘out’ and stops playing. Again, the winner is the last child dancing. Once more, this game will need to be adapted to suit the number of children available to play it. As with Pass the Parcel and Musical Bumps, the aim is to have your child attend to the music by listening carefully and then responding appropriately when the music either stops or starts. This is another quietening down game to play at the beginning or the end of a practice session. In this game, the children lie down on the floor. They must remain as still as possible while pretending to be sleeping lions. An adult acts as the judge, walking around the room to spot the first child who moves. The last child to be spotted is the winner and can receive a small prize. Depending on the age of the children involved, you may need two adults (and several children) to play this game. One adult pretends to be the wolf and stands at the end of a room with their back to the children. The other adult, with the children, starts to creep up behind the wolf and stops at some point with the children as they all chant, “What time is it, Mr. Wolf?” The wolf turns around to face the children and replies with a time, e.g. “Two o’clock.” The wolf then turns their back again and the other adult and children creep a little closer to the wolf. They stop, chant “What time is it, Mr. Wolf?” The wolf turns again and replies with another time. This continues until all the children are quite close to the wolf. Once a child is close by, the wolf responds to their chant with, “It’s dinner time!” The wolf then turns and chases all the children back. If the children are older and able to play the game without adult guidance, the wolf can catch one of the children as they are chased back. The child who is caught becomes the wolf for the next round of the game. This game encourages your child to wait and, therefore, improves attention skills. It also develops the ability to take turns. Your child has a blindfold on and stands in the middle of the room. Another child (or adult) makes a noise with a musical instrument from somewhere in the room. The child must identify where the sound came from by pointing to it. A prize at the end for a good effort can be motivating. This is like the above Blind Man’s Bluff (variation) but, instead of having a person make a noise for the blindfolded child to identify, you use a device (such as a radio, smartphone or tablet) to play music. The advantage is that the radio, smartphone or tablet can be set to any volume. Begin with a relatively loud volume and then get progressively quieter. Make sure that the container tops are securely fastened and that your child cannot inhale or swallow anything. To begin, give your child three containers and you keep the matching containers. Shake one and encourage your child to find the corresponding one in their set. Continue with this until your child can consistently identify the corresponding container to the one you’ve shaken. Then increase the number of containers until you each have six. As your child progresses, you can increase the number of pots you use and the similarity between them. For example, use sugar as well as sand: although they are different, they will sound quite similar. This is an excellent game for encouraging your child to listen to the differences between sounds made by objects (such as sand or dried peas). Later, you will likely be teaching your child to listen to the difference between speech sounds and this game will prepare them for this. For this activity, you can use items from the kitchen or musical instruments. Give your child one set and you have the other set. Shake one of your instruments. See if your child can find their corresponding one and shake it. Now, shake two of yours, one after the other, e.g. you first shake the tambourine and then you shake the sleigh bells. See if your child can play theirs in the same sequence, i.e. your child must copy your sequence by shaking the tambourine followed by the sleigh bells. Then shake three of your items…etc. Each time, your child must find the items and shake them in the correct order. Now put up a screen so that your child cannot see which instrument you are using but must rely solely on their hearing to identify the instrument. You can use anything as a screen, e.g. a large book, a towel hung over the back of a chair, a freestanding mirror. Go through the stages as you did above (when you had no screen between you and your child) but now, of course, with your instruments hidden behind the screen. As before, increase the number of instruments your child must copy in sequence. This game will help your child learn to sequence non-speech sounds in the correct order. Sequencing sounds is an important skill for producing clear speech sounds. Encourage your child to listen to the stories that you read. Ask them simple questions after you’ve finished the story to see if they have ‘got the gist’ of the story. This encourages your child to listen carefully to someone else’s speech: a skill that is necessary for them to learn before they listen carefully to their own speech. These can be bought or made. This is by far the simplest method – although it’s obviously the costliest. Search online for ‘Sound Books’. There are lots available. Usborne do a good range of ‘environmental sounds’ such as animal noises, garden noises, sounds at the funfair, etc. Disney also do some popular fairy stories. Using a smartphone, tablet or similar, record 10 different everyday sounds, e.g. baby crying, kettle boiling, car, phone ringing, doorbell ringing, ambulance, etc. Cut out corresponding pictures from magazines, e.g. baby, kettle, car, phone, doorbell, ambulance, etc. Play the audio recording to your child. Encourage them to listen carefully and select the right picture. If they find it difficult, you might like to reduce the number of pictures that you show at any one time. Choose a storybook appropriate to your child’s age. You will read the story to your child and encourage them to listen for a character’s name. Every time the child hears the name of the character, e.g. “Mr. Fox”, they must shout out or make a noise, such as “Grrrr” (for the fox). You can do this several times – changing the chosen character as you wish. This is best played with several children. Depending on the ages of the children involved, the adult my well need to be ‘Simon’ for the game to work properly. Simon tells the children what to do. However, the players must only obey instructions that begin with the words, “Simon says…” So, if Simon says, “Simon says…touch your head,” then players must touch their head. But if Simon says, “Touch your head!” (without first saying, “Simon says…”) then the children must NOT touch their heads. Begin by giving the children one action to remember and do (e.g. “Simon says…touch your nose”). Then increase this to two (e.g. “Simon says…touch your head and sit down”) so that the children must remember more information. This game increases short term memory as well as improving listening skills. Your child acts as a shop keeper and you (the adult) go to the shop to buy various items. Have about eight common objects for sale in the shop, e.g. spoon, cup, sock, ball. Ask your child to get two things from the shop for you. Don’t ask for them separately but ask for the items all in one sentence, e.g. “Can I have the book and the car?”; “May I have a box and a cup.” It is important that you name both items before your child starts to get them, as the aim of the game is for the child to remember all the items asked for. As your child gets better at the game, you can gradually increase the number of things that you are requesting from the shop, e.g. “Can I have a cup, a box and a car?” As a rule of thumb, don’t expect your child to be able to remember more items than their age, i.e. a four-year-old should be able to remember four things; a three-year-old should be able to remember three things, etc. You can vary this game by having items to put in a suitcase (using a real suitcase and real clothes or a toy suitcase and dolls’ clothes). However, using real objects can help children to remember. Play the game in a similar manner to the above shopping game by asking the child to pick out one or two or three items from the suitcase and then to hang them up on a washing line or the back of the settee, or similar. For example, “Can you hang up the skirt?”; “Please hang up the shorts and jumper”; “Put the socks, vest and T-shirt on the washing line”. Get a drum and drumstick (or a pan and spoon from the kitchen) and give a similar set to your child. Tap out a simple rhythm. Perhaps beginning with two simple beats: bang – bang. Encourage your child to copy the rhythm. If they find this difficult, you can hold their hand and help them tap out the rhythm on their drum at the same time as you tap out the rhythm on your drum. As they get more used to the activity, you can make the rhythm longer and more complex, e.g. bang – bang – (rest) – bang, etc.